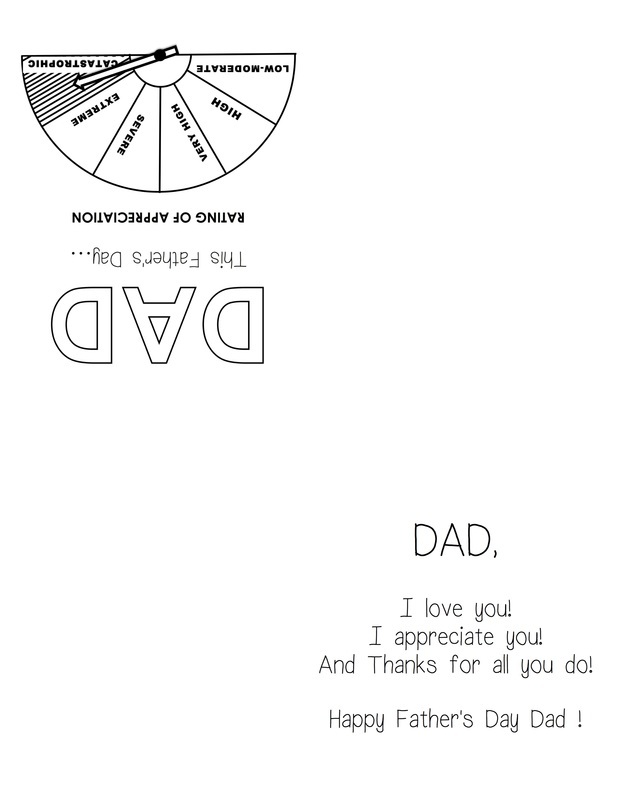 Print out this quarter fold card onto A4 paper and colour it in for an easy Father's Day card. 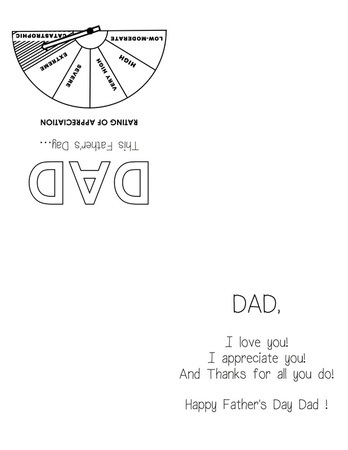 Print out the card template onto A4 light card or paper. The templates are sized for A4 paper and are available in jpg or pdf. jpg: Click on the template below to open it in a separate window. Right-click to save it to your computer and print it from there. pdf: Click on the link below to open the pdf version. Select "print"
Fold the card, and colour it in. 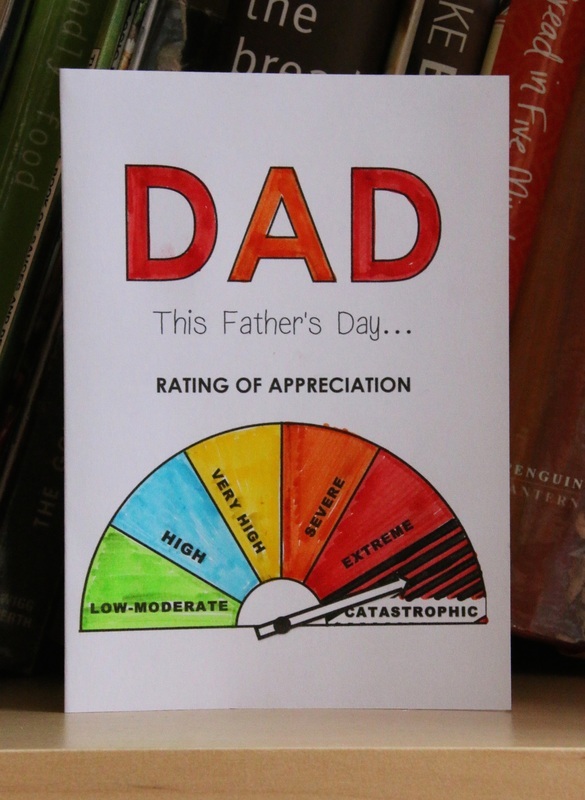 Give to Dad with love.